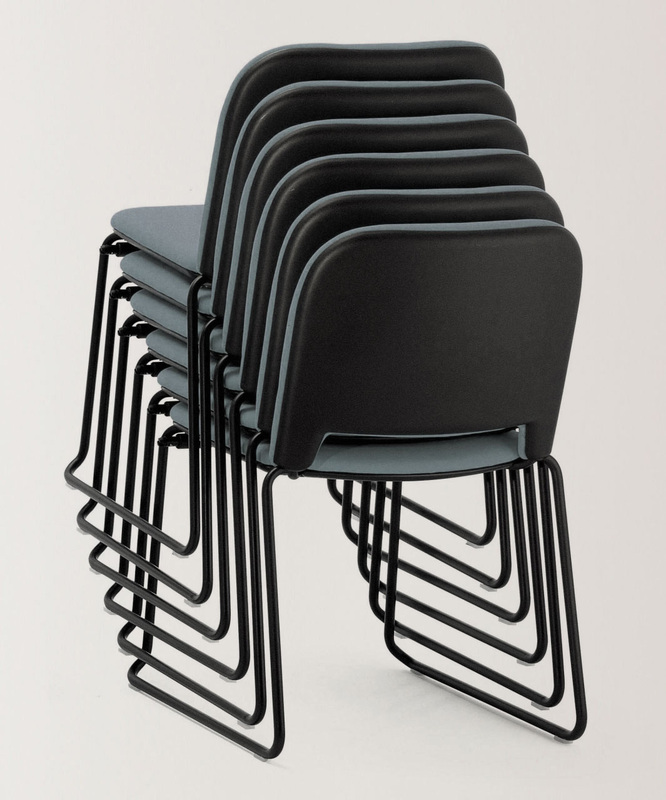 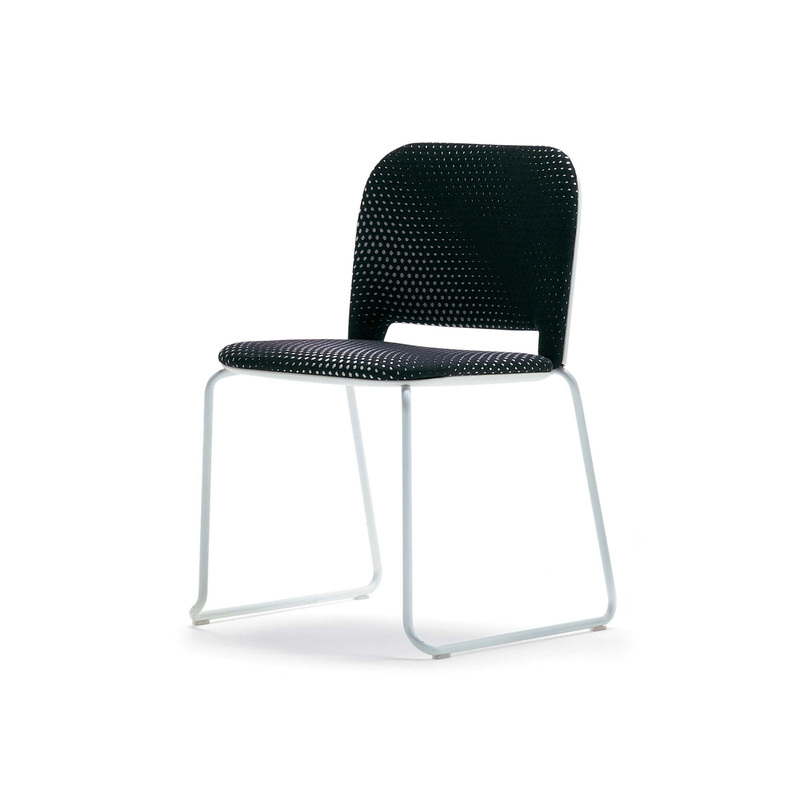 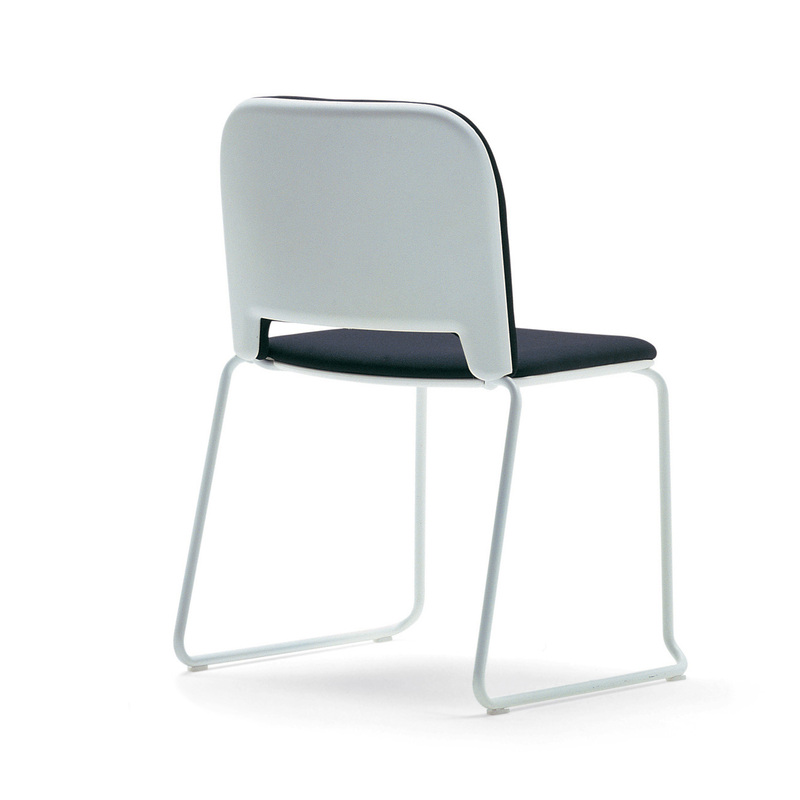 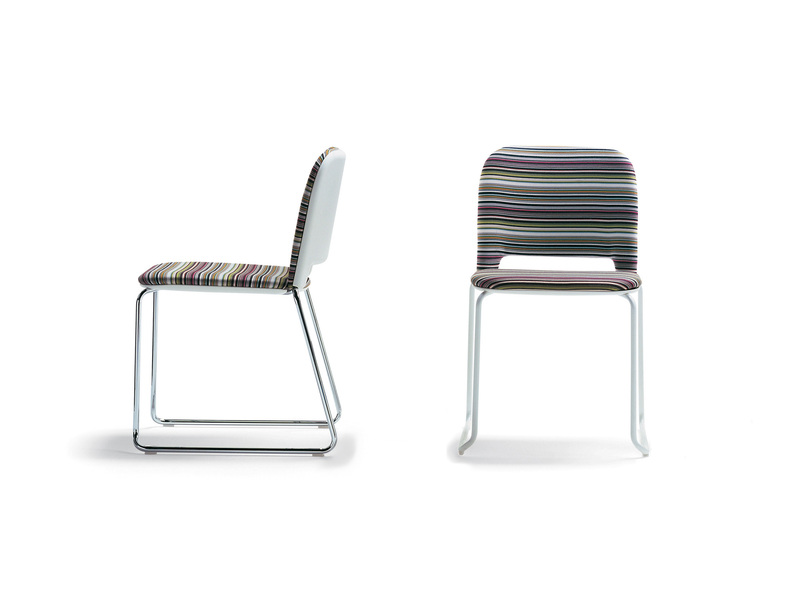 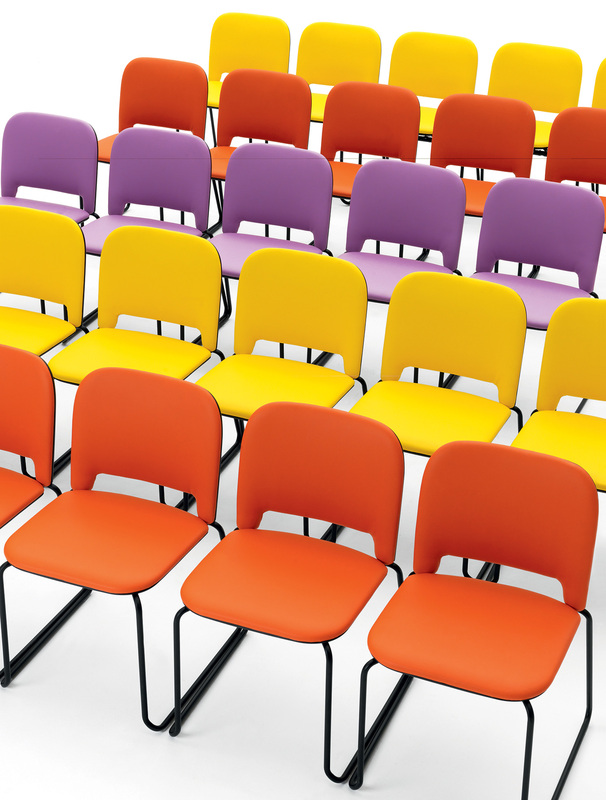 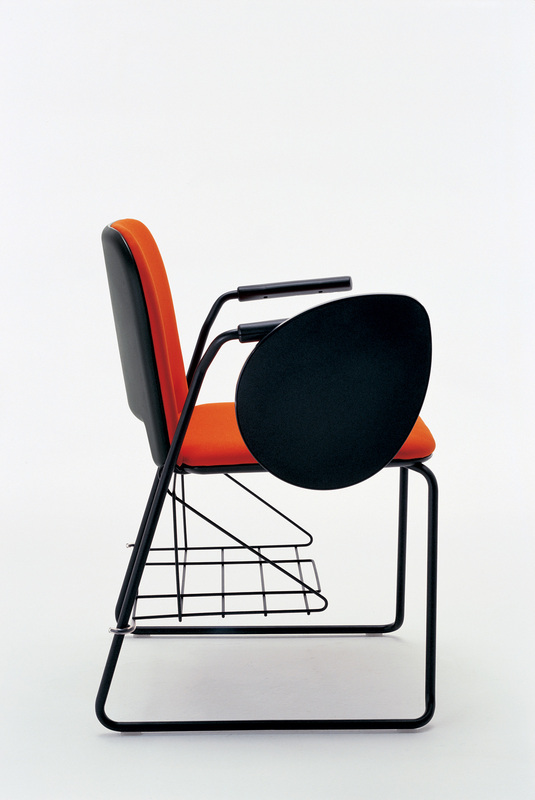 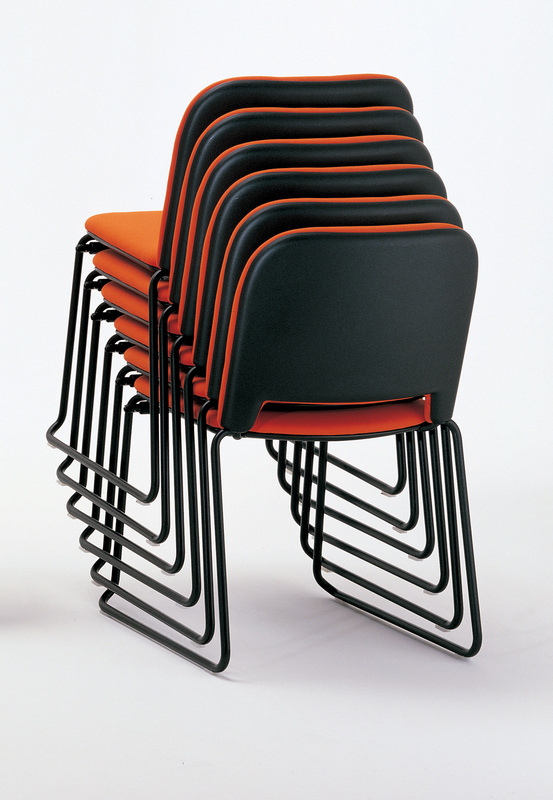 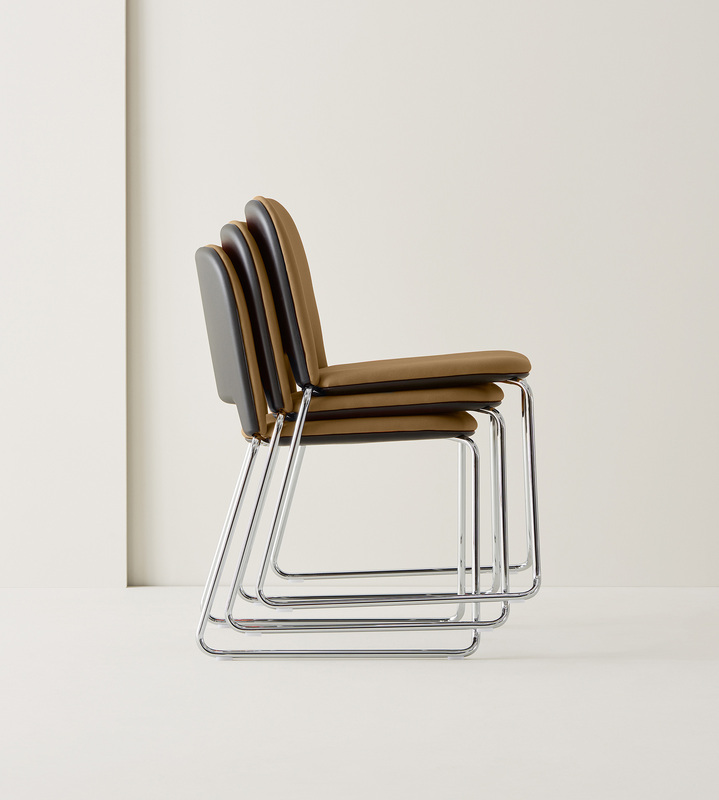 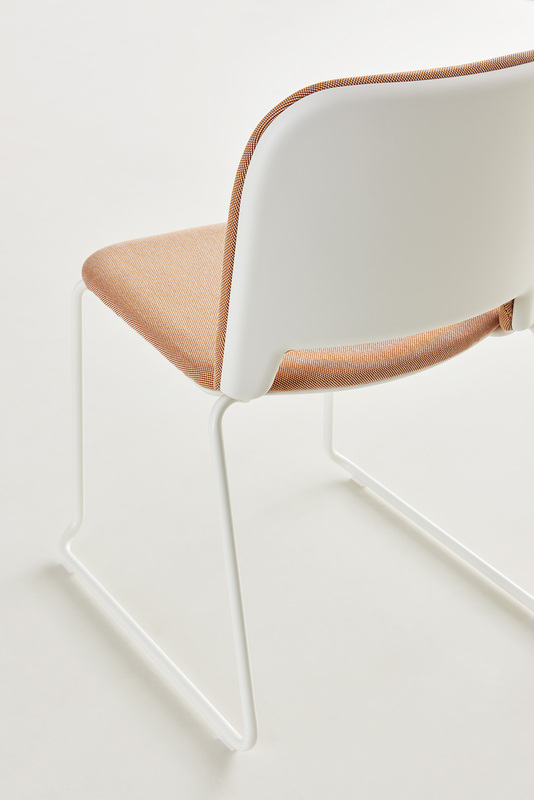 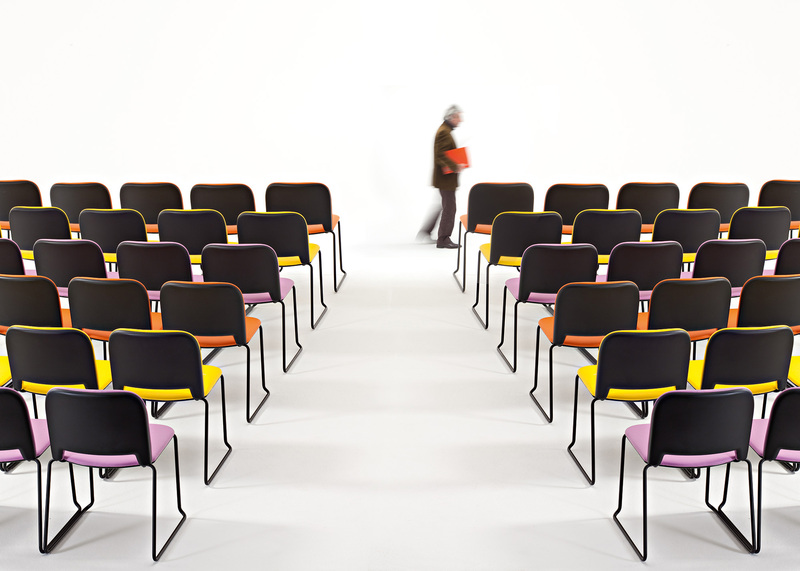 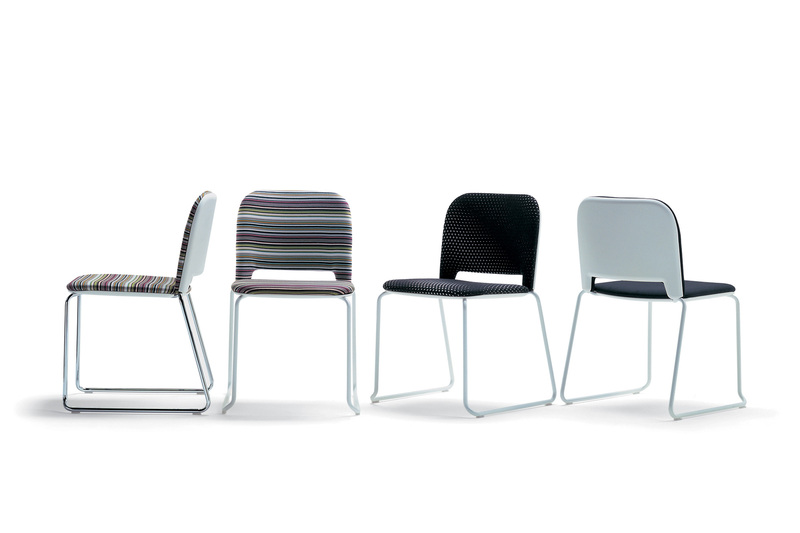 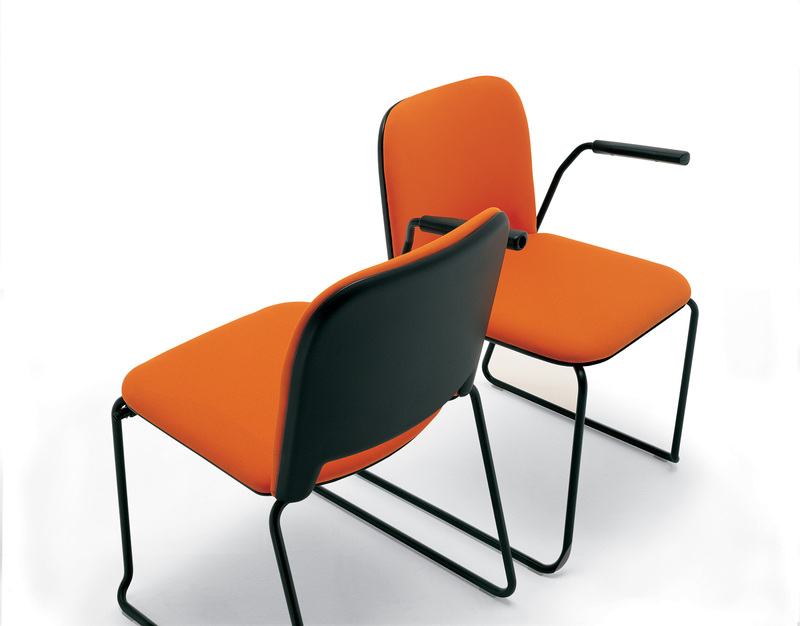 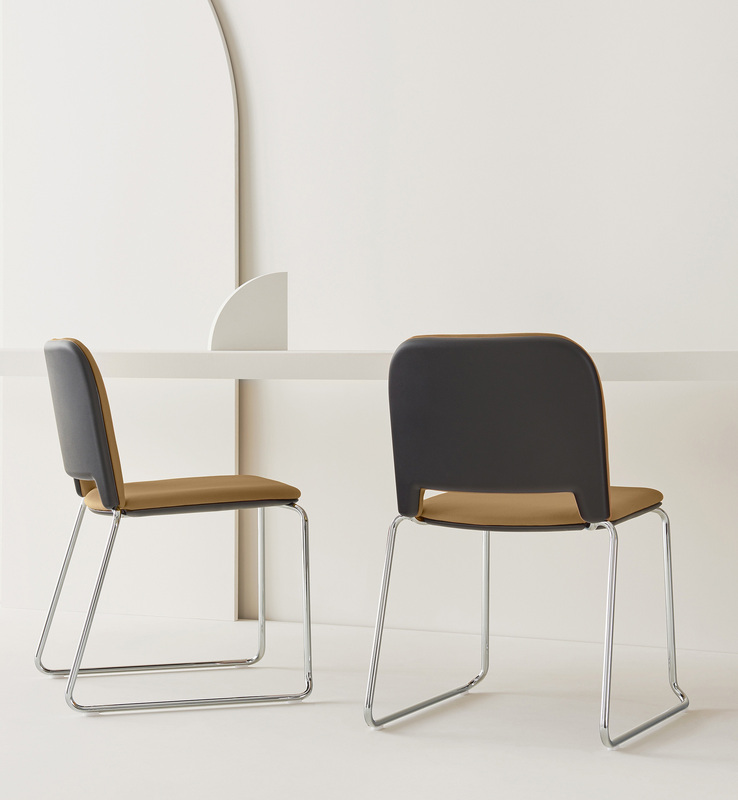 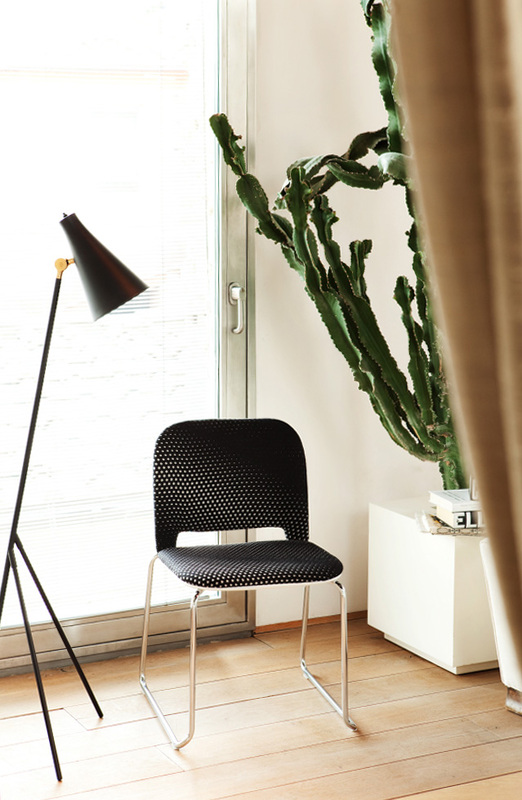 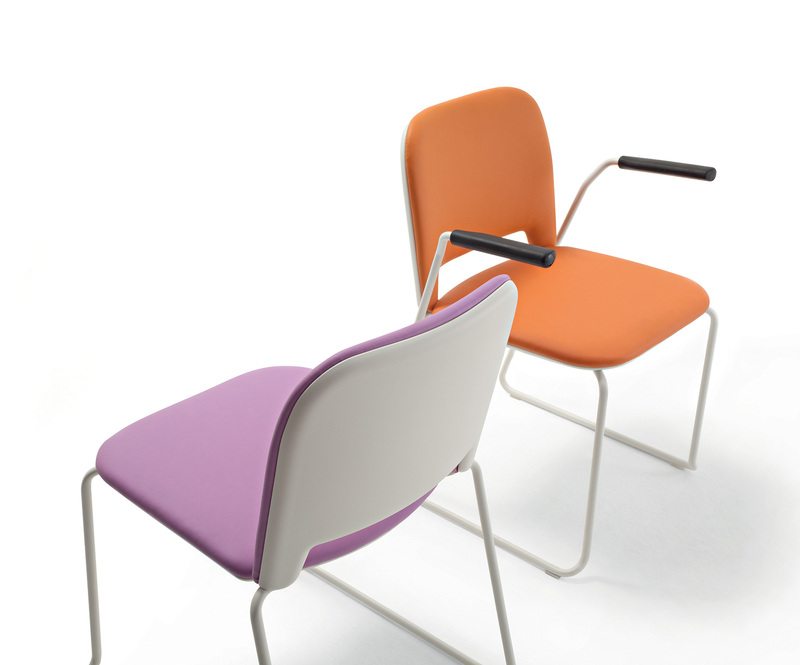 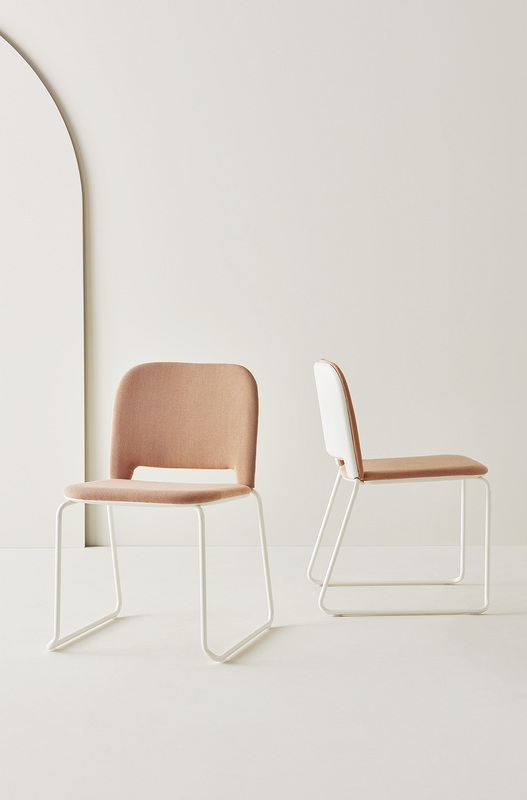 Stacking chair and armchair with sled base for contract and residential purpose, characterized by the coupling of the two parts of the shell – the external one, in injection moulded rigid technopolymer, and the padded internal one, upholstered with leather or fabric cover – with a double-sided effect enhanced by the contrasting colours of the rigid and soft shells. 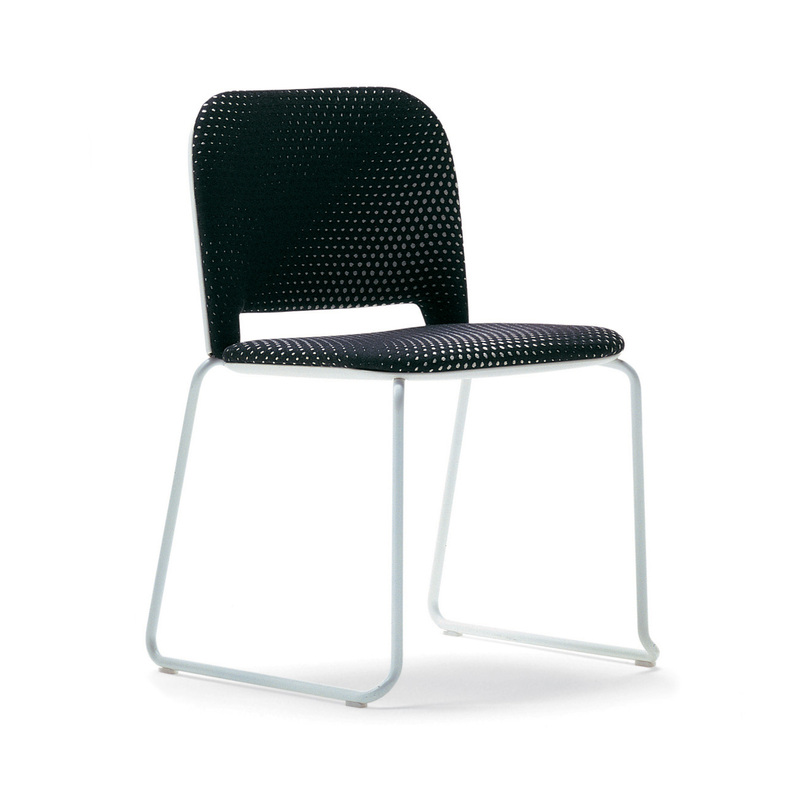 The steel frame is chromed or powder coated in black or white colour. 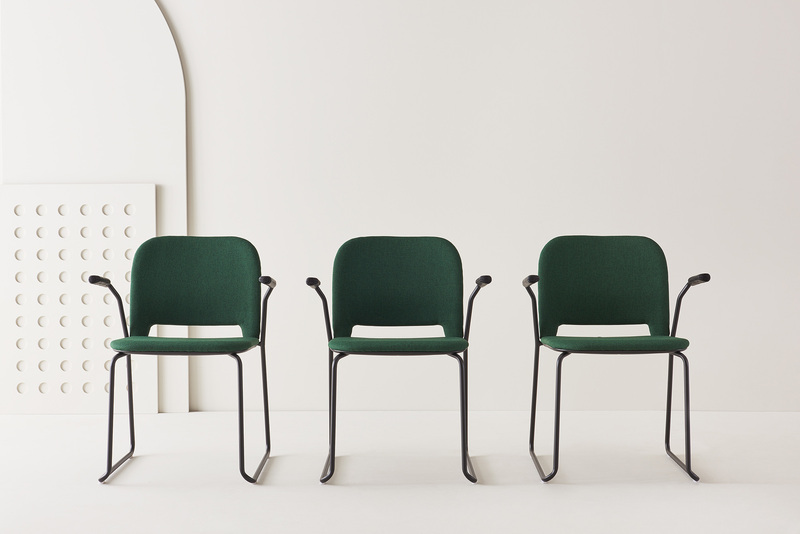 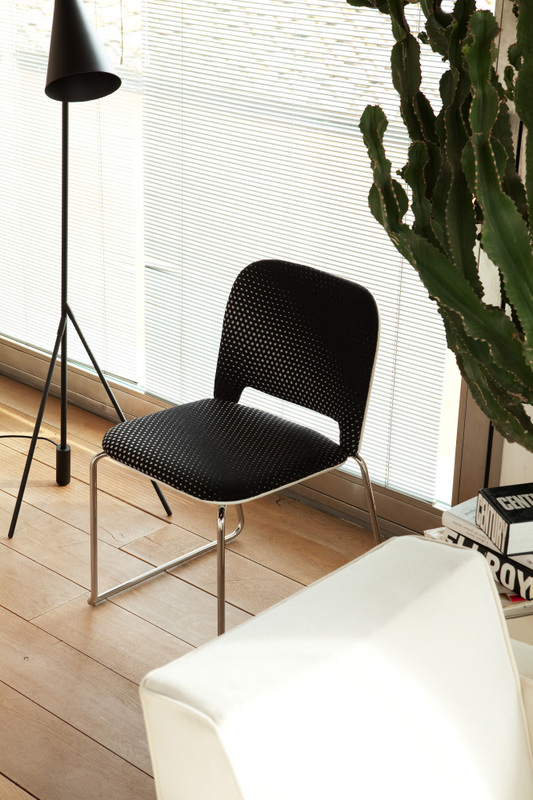 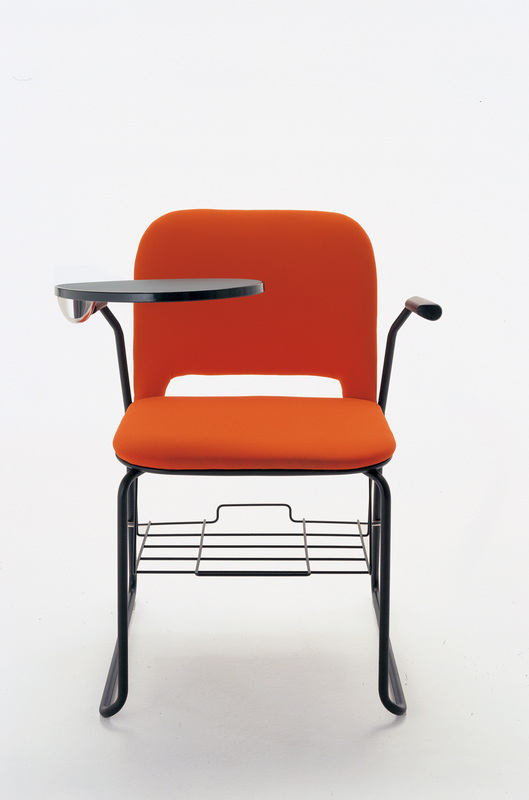 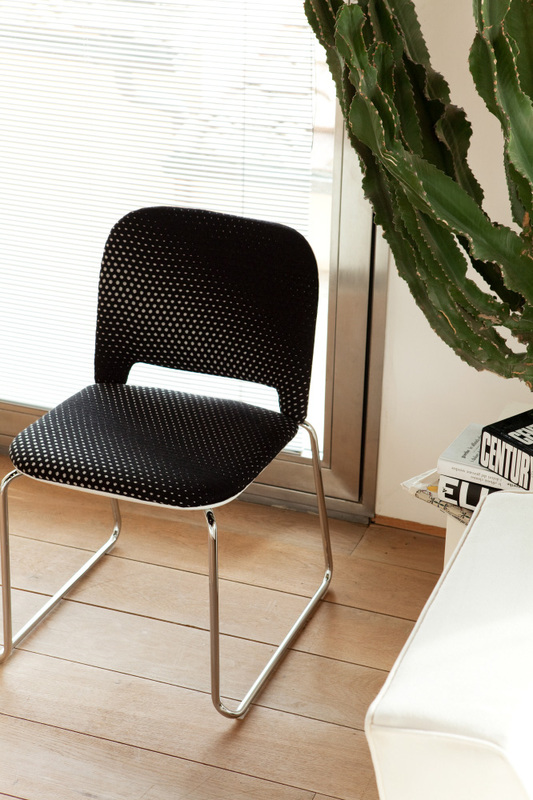 Armchairs are available with an anti-panic folding writing tablet and joints to create rows of chairs.